Dan also appeared on Good Morning America today to discuss Jerry Sandusky on the day he is set to be sentenced. With the trial over and the sentencing set, why did he release a dramatic plea proclaiming his innocence last night? 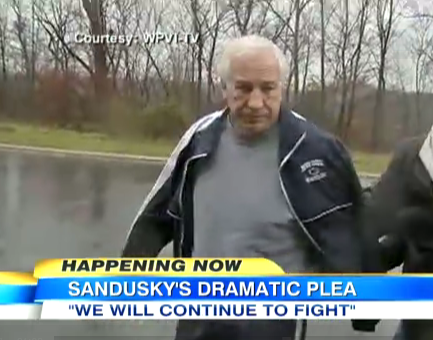 Dan tries to understand the former Penn State coach’s statement a day before his sentencing. “I have no idea” why he did it, answers Dan, continuing, “It would seem to me that he’s thrown in the towel in effect with this judge, for this sentencing – now look, this sort of a statement doesn’t really make that much of a difference one way or the other to the judge – the judge is going to be primarily looking at what were the crimes, what were the facts, and therefore what should the sentence be. 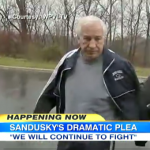 But by doing it the night before and then probably echoing it in court, I think Sandusky is saying ‘I know that this judge is going to send me to serve the rest of my life in prison. '” Watch the full segment, including Dan’s opinion on the potential power of the victims’ statements, here.